WMF - Samlerhuset Group B.V. The Samlerhuset Group is the majority owner of the World Money Fair in Berlin. For more than 30 years, Basel was the numismatic hub of the world. However, by the turn of the millennium Germany had become the strongest coin market in Europe. Thus, it was decided to establish a new center for international numismatics here, in the metropolis of Berlin. Today, the World Money Fair in Berlin is the world´s most important coin convention and meeting place for central banks, mints and collectors alike. 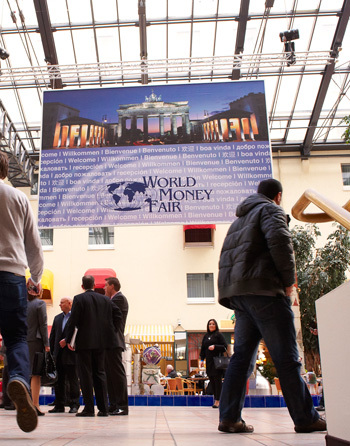 The World Money Fair´s annual event takes place in January or February each year, where governments announce the coin issues for the coming year.